More of an interest article this time. An all important but rarely considered topic- painting spaces. 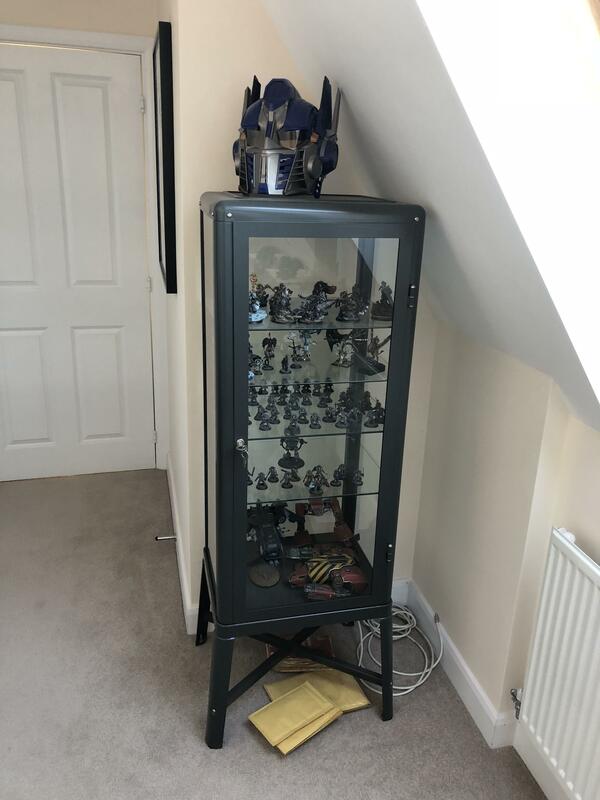 I'm currently pretty lucky, I have a hobby room, purposely kitted out for all my needs. However, this wasn't always the case. I originally painted at the dining room table as I suppose most did. A plastic table cloth was of utmost importance so that my Mam didn't kick my arse for any paint spillage! I went up in the world (depends how you look at it...) to painting in the shed, it was pretty cold but a little electric heater sorted this out. Earwigs were a problem too, falling out of the ceiling and landing in my water, the odd woodlouse made an appearance too... So where are we today? 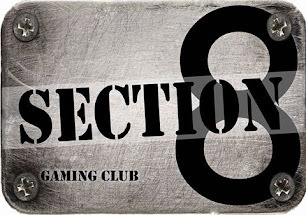 Well I thought myself and fellow bloggers at Section 8 could share how they go about painting and share some pics of the painting areas they use, let's make it easy for everyone and use the same headings. Maybe we can learn a bit from one another: Where? 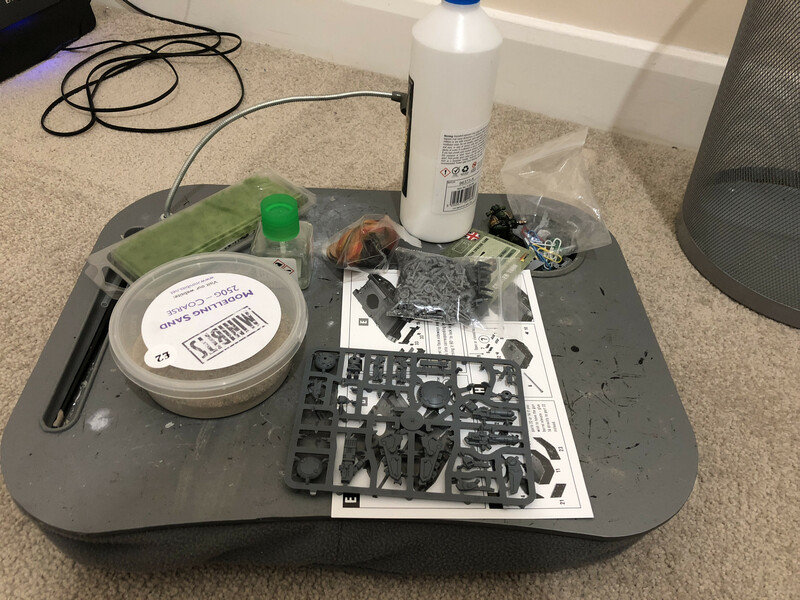 Well for me I spray outside in a cardboard box, I airbrush in the hobby room where my stuff is set up and I have a well ventilated room with two roof windows and a spray box with a fan. 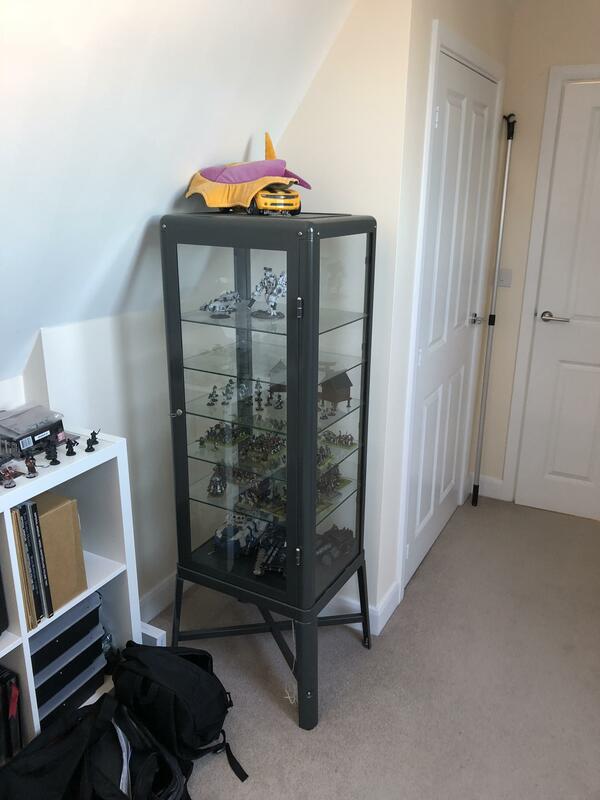 My hobby room is well lit with white LED lights and should be the perfect painting space....however, life gets in the way and staying upstairs alone is pretty unsociable. So, I use a kneeboard (one for painting and one for assembling) and often paint in front of the TV, I find I'm better painting with some sound so if not the TV, then the radio or some music. 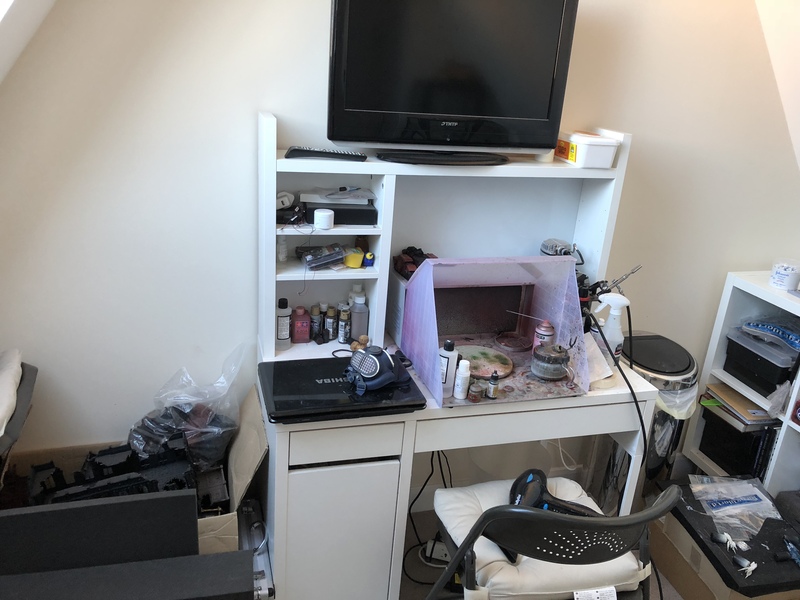 My airbrushing station, complete with spray booth, note the mask nearby, look after your lungs people! When? Because it's easy to pick up a kneeboard I paint whenever I want, often weeknights and I do get a couple of afternoons off so if I have nothing to be getting on with I'll often pick up my latest project. I also paint a the club, where lighting is not at it's best but we're trying to address that. I acknowledge that since I really enjoy painting this is pretty easy for me, but i acknowledge that some might not paint as often as I do. It's a motivation thing, I'm usually painting every 2-3 days for a few hours, if I'm not it's a bit of a red light that I'm not at my happiest. 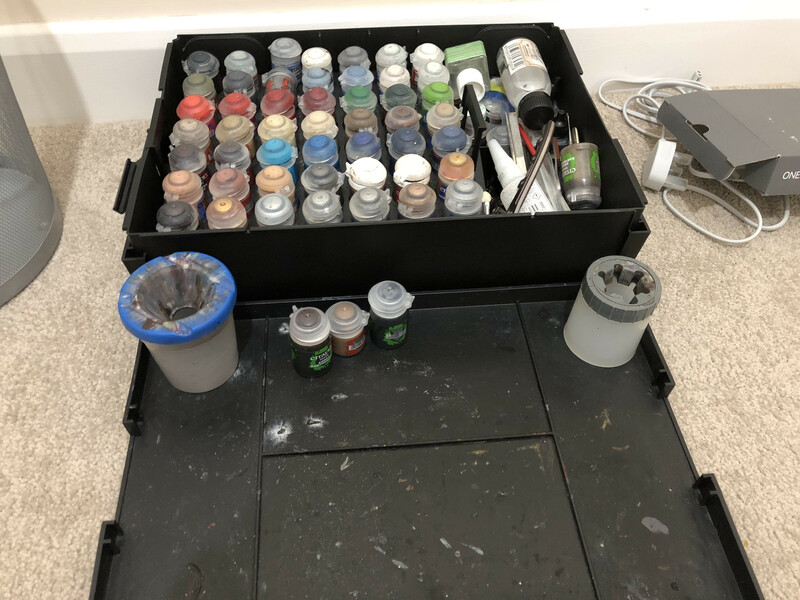 I use citadel paints mainly, I also use vallejo airbrush paints and forgeworld airbrush paints. I've experimented with all kinds of stuff over the years and find that continuing to experiment is good, the products you use definitely affect your painting. I use U-POL Matt black for undercoats, its a matt car spray and there's more in it that citadel for 1/4 of the price. I base largely with sand, cork and grass tufts, I also use pre-cast bases and have even had my own cast. I use two water pots, one for metallics and one for non-metallics and get clear water regularly. I use a tile for mixing as it's easy to clear with hot water, I have a wet pallet but I'm not really experienced with it yet. 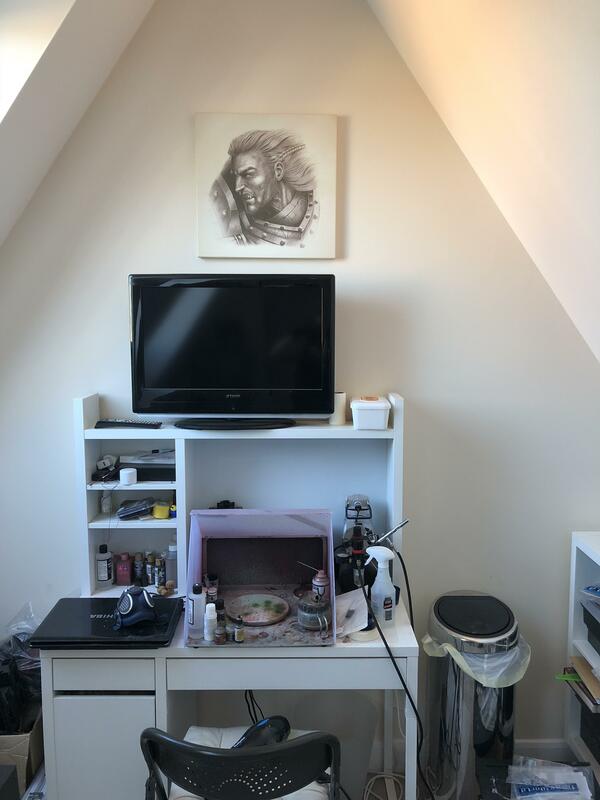 As for tips, clean down the area in between projects, helps clear the mind too, and I suffer from HBS (Hobby Butterfly Syndrome) so I’m not the best to give advice. I swap between projects to keep interest.